Across the board, employers agree that proficiency in the “three Rs” must be balanced by proficiency in the “four Cs”: critical thinking, communication, collaboration, and creativity. In fact, in a 2013 Hart Research Associates survey, nearly every company surveyed (93%) agreed that candidates’ critical thinking and communication skills were more important than their undergraduate major, and the World Economic Forum’s 2016 Future of Jobs report lists complex problem-solving, critical thinking, and creativity as the top three job skills employees will need in 2020. However, despite core standards and curricula specifically aimed to develop and expand critical thinking skills, most students aren’t reaching a level of competency in the four Cs to be competitive and effective in the workplace. Indeed, according to the Wall Street Journal, four out of 10 US college students lack the complex reasoning skills they need to manage professional work, and nine out of 10 employers judge recent college graduates as poorly prepared for the workforce in such areas as critical thinking, communication and problem-solving. As a result, employers are struggling to find recent graduates with the right skills. In a 2015 survey by the Committee for Economic Development, 55% of companies reported shortages of applicants with the necessary critical thinking skills, 48% were struggling to hire applicants with the necessary problem-solving skills, and 60% had difficulties hiring creative skills. In fact, creative thinking was ranked as the second hardest skill to hire after quantitative skills. Despite knowing that critical thinking is important to teach, the emphasis in most schools remains on subject-matter proficiency measured quantitatively through grades and standardized tests. “The curriculum favours those who can remember and regurgitate information,” writes Natasha Devon, former mental health champion of the UK Department for Education. “Policymakers need to understand that critical thinking skills require time and space to nurture and develop.” However, if most of the school day focuses on learning information, students are left with little time to practise critical thinking skills and apply them in meaningful ways.  Macat’s Critical Thinking Academy helps teachers build essential critical thinking skills to better prepare students for the workplace. Engaging lessons, resources, and tests are based on the PACIER model, which breaks down the six interlocking skills of critical thinking: problem-solving, analysis, creative thinking, interpretation, evaluation, and reasoning. Students learn to break down arguments, produce their own sound and compelling arguments, and find creative, workable solutions to problems. Powerful analytics help teachers measure gains and assess student progress in the PACIER skills. There’s no doubt that critical thinking skills are more important than ever, not just for students heading into the workforce, but for all of us as we navigate arguments and information and face personal and professional challenges in our daily lives. Critical thinking skills not only make us more employable; they also give us tools to make better decisions, be more resilient, and be better citizens.